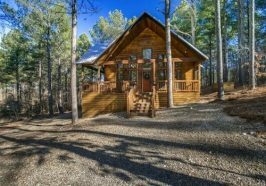 Paradise Found is a one bedroom rental cabin built for couples who appreciate luxury and top-of-the-line amenities. The premium features start outside with a large wrap around covered deck with a real wood fireplace. Narrow Escape cabin makes a stunning impression when you arrive. At night the cabin appears to glow with warmth from inside. 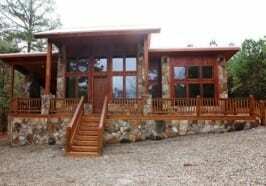 Large front windows let in lots of natural light giving an amazing view of the surrounding native oak and pine trees. Breezy Ridge is the perfect place for a family looking for great value, or a group of fishermen needing a place to lay their heads. Walnut Ridge is the perfect place for a family looking for great value, or a group of fishermen needing a place to lay their heads. Hidden Agenda is a one bedroom cottage built for people who appreciate luxury living and top-of-the-line amenities. Crystal Creek is a one bedroom cottage built for people who appreciate luxury living and top-of-the-line amenities. Buffalo Creek is a one bedroom cottage built for people who appreciate luxury living and top-of-the-line amenities. 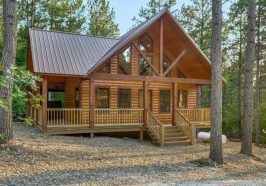 Southern Charm is a one bedroom cabin built for people who appreciate luxury living and top-of-the-line amenities. Driftwood Creek is a one bedroom cottage built for people who appreciate luxury living and top-of-the-line amenities. 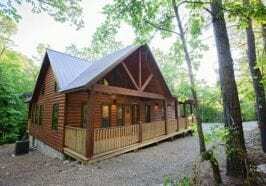 Scents of Adventure is a spacious one bedroom luxury cabin with top of the line amenities. 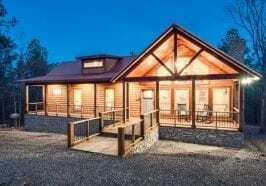 The modern style cabin has a paved driveway and is tucked among native trees giving guests a feeling of privacy. On the outside a deer feeder to attract wildlife. On the inside seasonal and holiday decor helps the cabin feel welcoming and homey. Creekview Paradise is a one bedroom cottage built for people who appreciate luxury living and top-of-the-line amenities. The perfect romantic escape! This beautiful, modern, rustic-luxury 1 bedroom cabin has it all. 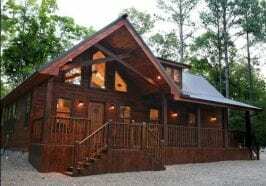 Located in Kaniatobe Trails, Loving Life is a short walk to several of the areas nicest restaurants and nightlife as well is only a few minutes drive to Broken Bow Lake and Beavers Bend State Park. 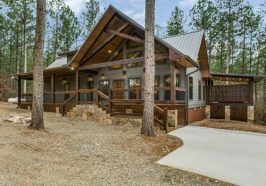 Whispering Creek is a modern rustic luxury retreat nestled in the trees and tranquility of Timber Creek Trails area.The open floor plan is beautifully designed to create an open space but still maintain privacy in the cabin. The large open kitchen features upgraded appliances including a dishwasher, farm style sink and granite counters. Morning Wood is a one bedroom cottage built for people who appreciate luxury living and top-of-the-line amenities. The premium features start outside with a large wrap around covered deck with a real wood fireplace. There is also rear porch with an outdoor hot tub. The back deck also has a real wood fireplace. Memory Maker where modern rustic meets luxury living. 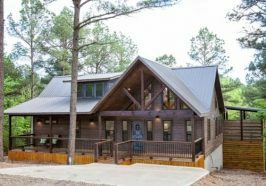 Located on a cul-de-sac newly built in 2017 nestled among native pine trees. Hot tub with waterfall & PRIVATE enclosure outdoor shower. Knotty Wood where modern rustic meets luxury living. Newly built in 2017 nestled among native pine trees. Hot tub &; PRIVATE enclosure outdoor shower. 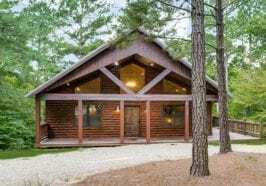 Close to Beavers Bend State Park & Broken Bow Lake. Only minutes away from excellent dining choices, outdoor activities & shopping. 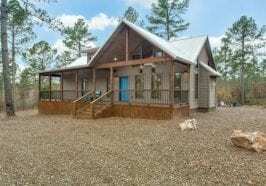 Woodland Escape is a one bedroom cabin, construction completed in December 2017, that sits on a wooded lot in the Timber Creek South development. 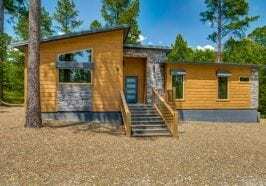 This one 1-bedroom cabin has an open concept living room and kitchen furnished with up to date amenities to make your visit to Broken Bow area effortless. 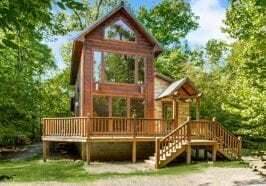 The Little Knotty cabin is a 1 Bedroom with loft that accommodates up to 6 guest. Construction completed in December of 2017, located in the Eagle Mountain West development. 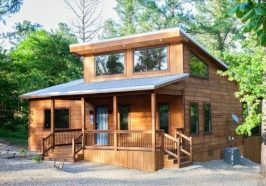 This open area design cabin has a roomy kitchen and living space with windows going from floor to ceiling to let you enjoy nature even when inside. 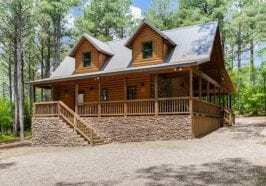 Attitude Adjustment is a one-bedroom cabin located in Eagle Mountain West which has unexpected touches of luxury that will make your visit to the Broken Bow area even more memorable. 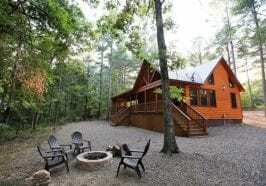 Sweet Water Paradise is a studio style 1-bedroom cabin located in the Pine Hill Development. 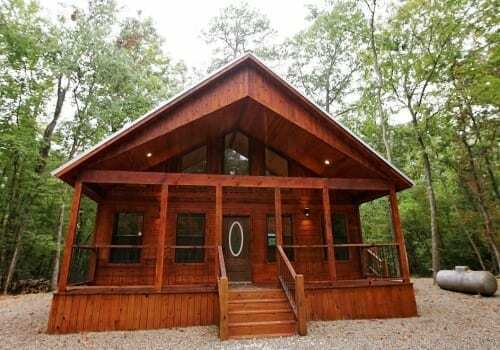 With wrap around porches this cabin provides spacious living areas both inside and out. 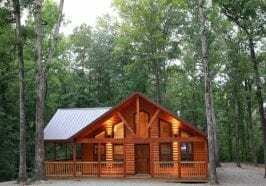 Clearwater Creek is a one-bedroom cabin that offers a cozy inviting atmosphere in the heart of the Southeastern Oklahoma woods. 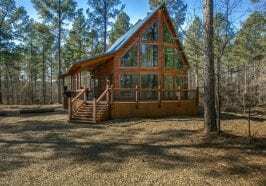 Only minutes from Broken Bow Lake and Beavers Bend State Park in Oklahoma. 24 Karat is a mid-century modern inspired gem; construction completed summer of 2018. 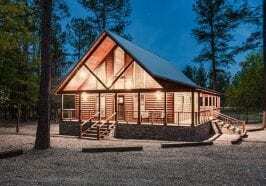 This “Adult Only” one bedroom cabin boast over 1200 square feet of modern amenities and contemporary decor. 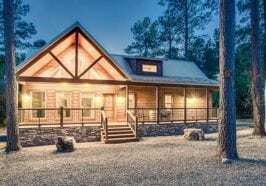 Broken Barrel is a modern rustic luxury retreat nestled in the trees and tranquility of Lost Creek development. 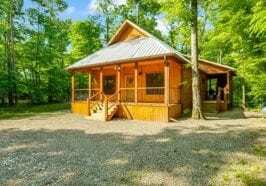 The open floor plan is beautifully designed to create a welcoming space with a touch of privacy throughout the cabin. 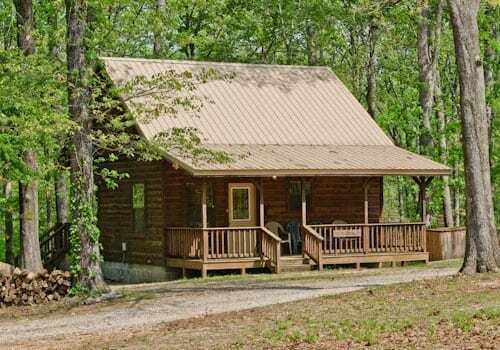 Prosperity Awaits is a one-bedroom cabin located in Timber Creek Trails area. 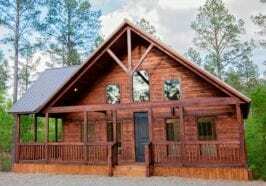 Decorated with touches of modern rustic interior your visit to the Broken Bow area is sure to be relaxed. 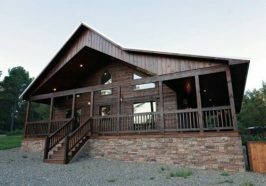 Horse’n Around is a one-bedroom cabin located in Eagle Mountain West that gives touches of comfort for a couple or small family. 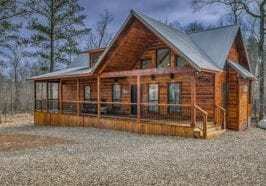 Holly Creek is a 1 bedroom cabin located in Timber Creek South Development offering a luxury getaway with top of the line amenities.